Artemesia Black is a duo consisting of Sabine Heusler and Kenny Schick. Their self titled new CD has taken me by surprise and stolen my heart. Their sterling acoustic guitar work and haunting vocals provide the perfect support for their well written songs. This genre they’re calling alternative swamp lullabies is a blend of chillingly spot on harmonies, crisp acoustic guitar, and a thematic reliance on ghosts. The result is mesmerizing. There are so many great songs and sounds on this CD that is difficult to know where to begin. Beautiful, the fourth cut on the CD, fades in with a picked acoustic guitar and slide. Heusler’s vocal is soulful and passionate; the harmony with Schick is sublime. “You had me with my bags packed, turned my head, knife in my back” sings Heusler while the slide wails behind her. This is melancholy at its best. The first cut, Rosie has Schick’s acoustic lead echoing Heusler’s haunting vocal. The harmonics created by the closely picked guitars ring through the mix and provide the perfect bed for her chilling vocals. Schick shows off his prowess on lead with a solo that is alternately bluesy and classical sounding. Good Til Now is a blues based ballad that again showcases incredible harmonies and stellar guitar playing. I love the discordant beginning of Shipwreck. The ghostly, creepy feel is deliciously dramatic and exactly the right choice for this mesmerizing story. Maryjanes features an incredible vocal arrangement that blends harmony and counterpoint with a pulsing rhythm that transfixes the listener. 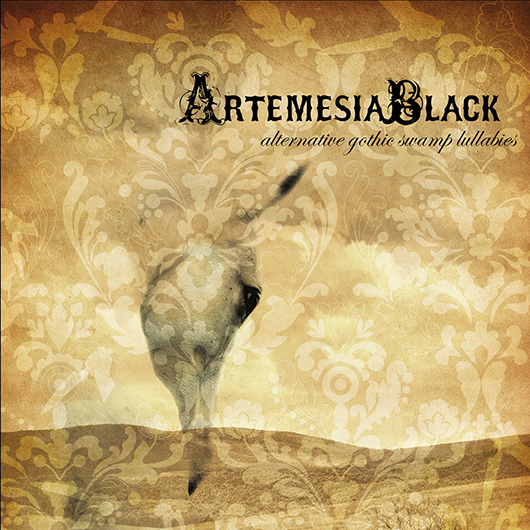 There is not a bad song on Artemesia Black. This is easily one of the best albums I’ve heard this year. Everything about it is perfect from the beautifully crafted songs to the haunting performances. The arrangements are spellbinding, fresh and interesting and the production is flawless. I will be listening to Artemesia Black over and over again as well as introducing it to my friends. This is a great album.